Boats need trolling motors to power them around. This implies that with trolling motors, you don't have to paddle the boat around but instead rely on the motor to move the boat around at different speeds. This gives you a good chance to catch lots of fish. However, the trolling motor will be of no value if you do not have a trolling motor battery. You need a good trolling motor battery to keep you moving in water for many hours. The battery should be in good condition and capable of powering your motor and other onboard gadgets for many hours. This is one of the best brands out there. It is popular and is a well-known brand name in the trolling motor battery industry. The 8016-103D34M Blue Top battery is simply the best and is one of the top sellers in the market. It is a dual purpose battery designed for starting and deep cycle. The battery guarantees a strong cranking and a good start. The battery is maintenance free and could be used to power RV and boats even in harsh conditions. It comes in a spiral cell design that allows it to provide the much-needed power while ensuring the safety of your family and environment. It has a higher reserve capacity which gives a longer shelf-life. This guarantees that you will have the power when you need it. The battery can be used in recreational boats and vehicles with large accessory loads. The Blue Top battery is efficient in delivering power and recharges faster. This means that you will worry less about the battery. It gives better service if it is used in RV and boats. It employs the SpiralCell Technology. Note that this battery is made of individual spiral-wound cells with lead plates coating of lead oxide. Essentially, OPTIMA battery is built with over 100 million spiral cells and guarantees exceptional performance. It is for this reason that this battery is recommended for marine applications. It is one of the deep cycle battery with high cranking power and can be used in RVs and boats with heavy electrical accessories. Also, the battery features optima color codes, which makes it easier to know how to use it. The battery has a regular Blue Top and is an excellent starting battery. It comes with a dark gray case and is different from the other versions that make use of a gay case. The battery can be used for both starting and deep cycling operations. 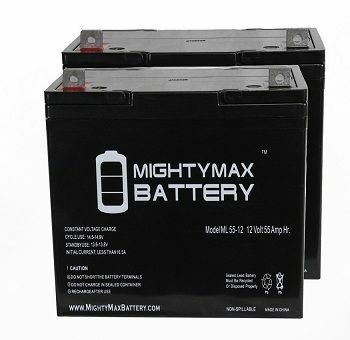 It is a very versatile battery whose popularity has continued to grow among the users. It can be used for both starting and deep cycling operations. This makes it a very versatile battery that could be used not just in trolling motors but also in many camping sites. The battery can suitably be used to power boats and RVs which are known to use lots of electrical accessories. The battery comes with 55Ah rating that helps it to last for long. Note that this battery is durable and long-lasting and is 15 times more resistant than a wet-. The battery can be recharged several times and will serve you three times as long as other cheaper batteries. The number of recharges it can take before it fails is three times that taken by the cheaper batteries. The batteries dimensions are 10 x 6 7/8 x7 and are 13/16 inches tall. The battery performs well and has an output is 750 amps making it suitable and ideal as a starting battery. It has the capability of starting the motor even in times of bad weather. Also, the battery offers 870 amps when the temperature is 32 degrees F. and has a reserve capacity of 120 minutes. Optima 8016-103 D34 M battery can discharge 25 amps for 120 minutes when used at 26.7 degrees C. It will do this until the voltage drops to 10.5 volts. Luckily, the battery recharges quickly and needs about 35 minutes to get 90 % charge capacity because of its low internal resistance. Note that it is critical that you use its charger if you want to reduce instances of overcharging. The charging instructions must be adhered to, and enough care must be taken if you want the battery to serve you for longer periods. - The battery can start a motor even when at 0 degrees F.
- Other than powering the boat, it can be used to power other electrical gadgets. - The battery can last as many as a thousand recharging cycles. - It is light and can easily be carried by boat. - The battery is spill-proof and could be carried at an angle. - The battery does not overcharge if the right charger is used. - It comes with a set of instructions to be followed when recharging it. - It is light weight and can be used in small boats. - You will end up overcharging the battery if the right charger is not used. - It is only protected by paper. If you are looking for a battery that can run for the whole day, and which performs better than other batteries in the market, then OPTIMA battery is one of the batteries you should consider buying. It is built to serve you for a longer period. The battery lasts longer than the traditional 12-volt battery, and you will certainly be pleased with its performance. It is a famous brand in its category and is a good example of a good battery compared to other batteries with the same AH rating. The battery comes with a 35 Ah rating and performs better than most of the other batteries in the 35 Ah category. The battery is durable and long lasting. It features premium performance and comes with military –grade metal plates. This is a strong battery designed to withstand vibration. It is a robust battery designed with a long- lasting outer casing, which is durable and comes with extra ABS plastic. The battery is designed to be used for 18-40 pound thrust trolling motors and could suitably be deployed for deep cycling operations. 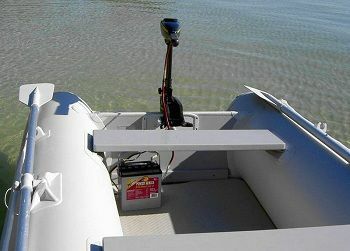 The battery works great for 30 –pound thrust trolling motors and is an ideal battery for small boats. It measures 7.7"x5"x6.1" and is 25 pounds. It is a good alternative for people looking for something that can power other gadgets including the laptop. Vmax857 Tm AGM can be used at home when your power goes out since it can run both your TV and DVD player. This makes it ideal if you are planning to go camping. The battery does not need any maintenance and could be positioned at any angle. 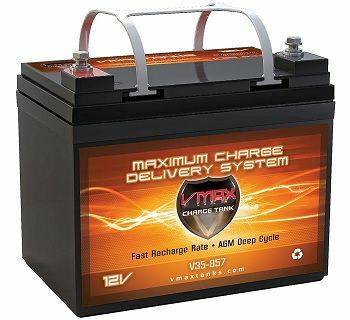 Vmax857 Tm AGM battery is tough and could last for a long while. It is small in size, portable and lightweight. The battery comes with a convenient handle, is compact and it can be used to power your boat for many hours. - It can power small boats for several hours. - The battery is lightweight. - The battery is spill-proof and can be set at any angle. - The battery is quite durable. - It is maintenance free. 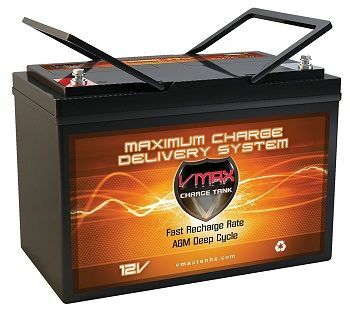 - You must buy VMAX BC1204 12V 3.3Amp charger if you want the battery to give you good service. - Its usage at the campsite is limited. - The battery is expensive compared to other brands in the same category. 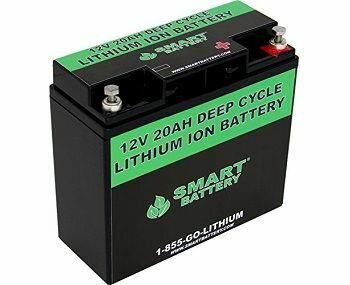 This is a 35Ah trolling motor battery that is quite affordable and designed with terrific features you will hardly get from a battery that goes at its price. The battery is compact and measures 7.68x 5.26 x7.13 inches. It is a light battery that weighs 23.15 pounds. The Mighty Max 12V 35A is spill-proof and can be used in areas with varying temperatures. It is designed to last longer irrespective of whether it is being used; in high or low temperatures. Also, the battery is resistant to shocks and is spill-proof. It can be mounted at any angle and could be used in an indoor or enclosed setting without worrying about leakages. The user of the battery does not need to worry about maintenance. It is maintenance free and is the best option for users looking for a battery that can be used without worrying. The battery will give the user 3 hours of service and so there is no need to worry about recharging it. It is important to note that the battery is constructed using a state of art technology and comes with a calcium alloy grid that gives it exceptional performance in cyclic applications. It is one of the batteries that can be used in enclosed indoor environment since it is leak proof and is maintenance free. This battery can be used to run consumer electronics such as medical mobility, portable tools, and access control devices. It is a 12 Volt battery with an amperage of 35 AH and measures 7.68" X 5.16" X 7.13 ". It weighs 23.15 lbs and comes with 1-year warranty. 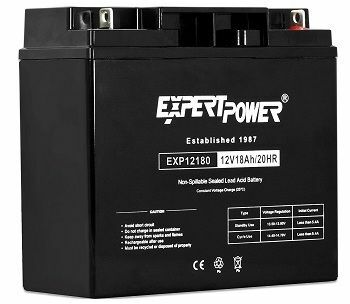 It is a deep-cycle battery that can be used to power a tent, and so it can suitably be deployed in RVs and boats. The size and capacity are right for anyone planning to spend more hours in the water. - The battery allows you to spend more than 2 hours on the water and you will still have more than half of its power to use. - It is spill-proof and is easy to install. - The battery is compact and does not occupy much space. - It is light in weight, and this makes it appropriate for small boats. - It does not require maintenance. - It is one of the most reliable batteries on the market. - The battery does not need a special charger. - The battery is rated 35 Ah and so it may not supply you with the power you need when you go on a fishing escapade. This makes it unsuitable if you are planning a trip that will take a whole week on the water. - It takes some time to get it recharged. The battery is rated 35Ah and can guarantee you several hours of a steady supply of power. If you are going for leisure on the water, it is one of the options you may consider since it performs superbly well. The battery is compact and could be used to power various medical equipment including an electronic wheelchair. The battery measures 7.7 X 5.1 X 6.3 inches and weighs about 23.1 pounds. It can be used in boats, has enough power and can provide up to 6 hours of service if used in an inflatable boat. The battery could also be used for other purposes and can power electrical gadgets such as trailers and RVs. It is spill-proof and is an AGM battery that could be installed at any angle without worrying of spillage. Also, it is one of the batteries that can be used without a special charger. 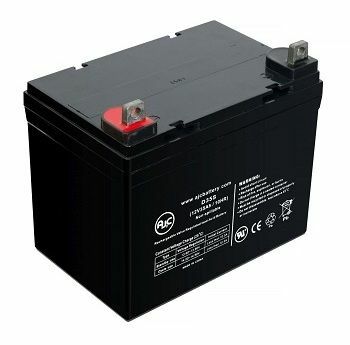 In fact, this battery can be used on a 12 V battery charger. It is small in size, and this makes it easier to mount it on a kayak, recreational vehicle or boat. The battery is manufactured using the AGM technology, is safe and does not need maintenance. It weighs about 23 pounds and is easy to mount or transport. The battery has a thick and rugged plastic exterior which is designed to accommodate and tolerate bumps and scratches without damaging it. 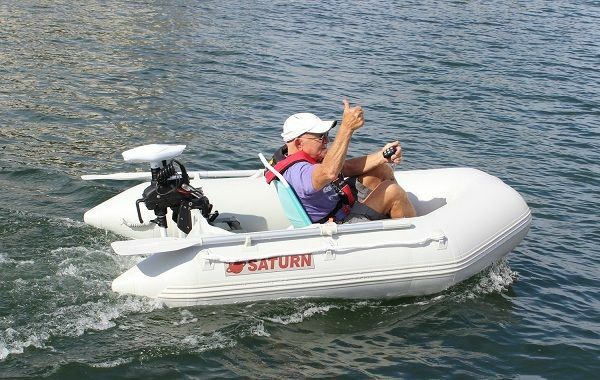 - The battery is compact and is ideal for canoes that come with trolling motors and kayaks. Also, the battery can also be used in cramped RVS. - The battery is light weight, and this makes it a good option for small boats which cannot carry heavy loads. - It is small in size but offers enough battery power to powers your motored kayak for several hours. - The battery does not require a special charger. - It comes with a thick plastic exterior that protects it. The case makes it more tolerant and cannot be affected by bumps. - The battery is affordable compared to other 100Ah batteries and is suitable for people who do not need a large capacity battery. 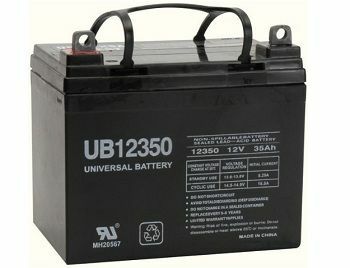 - The battery cannot serve you for the whole day and cannot be relied on to power many electrical devices when camping. - The recharging time is average. - It is small in size and light weight. Thus it cannot match the large batteries regarding holding power and keeping you in the waters for many hours. - Overcharging the battery can damage its ability to hold on power. Therefore it is necessary that you read through the manual before you charge it to avoid damaging it. Note that the interstate DCMOO35 is ideal for small trolling motors and delivers superb performance in different environment. It is lightweight and is easy to mount. The battery is designed for individuals who plan to spend a lot of time in waters or those who will be powering their boats at high speed. 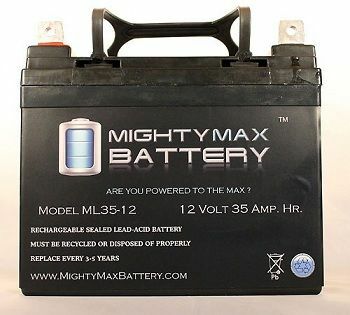 It is a 55Ah AGM battery from the Mighty Max. 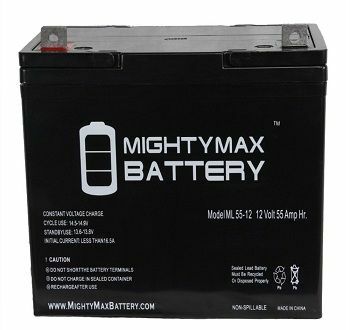 If you are already using a 35 Ah battery, you may need to upgrade to the Mighty Max which is suitable for 30-lb thrust trolling motor. The battery guarantees the user 4 hours of service even when they spend most of the time traveling at full speed. It can give you more than 6 hours if you keep the speed down or medium. In most cases, after 6 hours of use, the battery will still have 60% of its power left. However, it is huge and heavy and may not be suitable for smaller boats. - It is true that the battery is bigger than a normal 35Ah battery, it is not too big and measures 9.02 X5.43 X 9.13 inches. Also, the battery can be set on its side without worrying about spilling since it is spill-proof. 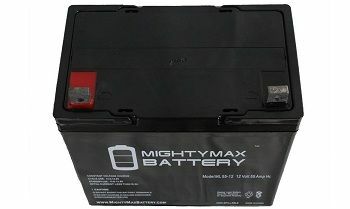 Even though, it is important to note that the battery is not too heavy and so it can be used on kayaks and small boats. It weighs 38.6 pounds and exceeds the 35 Ah battery by 1 pounds. - The battery comes with outstanding features, and it is known for great features such as being maintenance free and is designed to withstand shocks and vibrations. This makes it possible to use the battery in both high and low temperate areas. - The battery guarantees you more hours on the water, and you are free to move at a faster speed without worrying about draining it. - It is smaller than other less powerful batteries, and you are free to set it at an angle so that it can fit in the spaces available. - It is not heavy, and so you should not worry much about the load capacity of the boat. - The battery is resistant to vibration and shock. - The battery will serve you even in extreme temperatures. - If it is drained, it will take you up to 30 hours to recharge the battery using a trickle charge. - The extra weight may be too much for a small kayak. The VMAX MR127 comes with outstanding features. It is not designed as a starter battery but will get you going. The battery is 100Ah rating and can be relied on to last for a long time on the water. The battery can be used on a 30-lb thrust trolling motor as well as a 40-pound thrust motor. This battery can last for 12 hours on the motor if it is set at the lowest speed setting. When it is put on medium speed, it will give you 7 hours of service. At full speed, it will give you service and will only fall short by 2 hours. This is much better compared to the few hours you would get from a smaller battery. The battery will give you service even when it is put on a 55-lb thrust motor. It will give you 8½ hours when it is set at the lowest speed. When it is set at medium speed, it will give you 5 hours of service and about an hour or so when it is at a full throttle. VMAX MR127 12 enjoys a 100Ah rating which is bigger than a typical battery. Its dimensions are 12.1" X6.7" X8.2". It weighs 68 pounds and thus; if your boat can accommodate two of these batteries, it can allow you to spend more time in the water. It is an AGM battery that is non-hazardous, spill-proof and maintenance free. The battery can be recharged using a car alternator, wind turbine, and an alternator. The battery cannot be charged using a smaller charger, neither can you use maintainer to charge the battery. Note that the battery's body is made of tough plastic that is designed to fit in a power kit. The kits have metals that protects it from damage. It is a deep cycle heavy duty maintenance free battery. It comes with electrolyte suspension system that consists of AGM that contains electrolyte with no silica gels and other contaminants. It features plates with unique physical and chemical structure in its plates which are specially treated and have undergone a superior manufacturing process that makes them stronger and gives it high-performance capability. The battery has a long life span and recovers fast even after a deep discharge. - It allows you to travel for a longer time at high speed. - The battery can last for many years. - It takes less time to recharge it compared to a standard battery. - It is bigger heavier and more expensive compared to a standard boat battery. - To keep it moving, you may need to put it in a power kit. 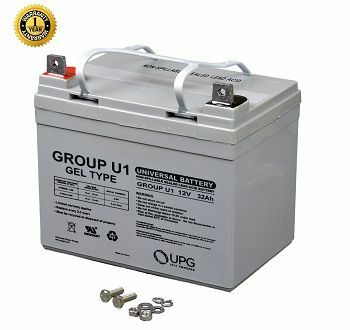 The gel cell batteries are often confused with AGM batteries because they share similar traits including being deep cycle, non-spill able and can all be mounted in whichever position you choose. Also, these two types of batteries are low self-discharge batteries and could be used in limited ventilation areas. The batteries can safely be transported and handled. The Gel cell is specially designed with a standalone power storage that is attached to the solar system. The batteries have a 20-year life and have a 5000cycles. Even though they lack the burst of amps that is found in the AGM batteries. Notice that the Gel cell batteries are more costly but do not offer the same power like AGM of the same size. It is a rechargeable battery that can be mounted in position and could be used as UPS back up battery. The battery is spill proof and can be relied on if you are planning to take a trip to the water. The battery measures 7.71" x5.20" X7.15'' and weighs about 20.90 lbs. It is maintenance free and spill proof. They are designed for campers and marine usage. The batteries come in different size and can be used for commercial and recreational activities. Depending on the use you want to deploy the battery for, it is recommended that you choose one with sufficient capacity. The Amp hours rating should guide you on the right battery to choose. When it comes to choosing the best deep cycle battery, there are two aspects that matter: the rating and the cycle life. The rating is determined by the internal lead components and the technical features that help it deliver reliable power. Also, recharge ability is an important factor when choosing deep cycle battery. A battery that can be recharged numerous times guarantees a steady supply of power over a longer period. The recovery performance is also a critical factor that needs to be considered. It is one of the best trolling motor battery on the market. It is suitably designed to give the angler great value when fishing. It is a heavy duty battery that comes with connection hardware, lock washers nuts and bolts. This is a rechargeable battery that is maintenance free. The battery is spill-proof and has an elevated discharge rate. This is what guarantees the user long service of life. It also comes with a thumbprint that allows the user to fit it in any position. This is a trolling motor battery that can be fitted in any position and allows for long hours of trolling operations. - It is spill-proof and cannot leak. - It doesn't need repairs after using it. - It is designed to fit on any boat. - Can be used in varying weather conditions including strong current. - It can be used even with people with no knowledge about trolling. - It is versatile and guarantees exceptional performance. This battery is known for its high power back up. It is a 12-volt battery 18 amp battery that guarantees you 20 hours in the water. This is a sealed lead acid battery that is maintenance free. It features Absorbed Glass Mat Technology and can offer you excellent service in a wide range of temperatures. It is a rechargeable battery that gives uninterrupted power supply that allows you to enjoy your stay on waters. It comes with 2 USB outlet unit and bright LED work light that guarantees you a steady supply of light during after dark fishing. - It is sealed, and so you need not worry about its positioning. - Overcharging it may lower its performance. So what are the main factors you should look at when planning to buy a motor battery? Before you spend your hard earned cash on a motor battery, you need to look at the manufacturer (brand), the price, the output voltage and any other aspect that could help you buy the best motor battery for your boat. Note that when it comes to selecting trolling motor batteries, the amperage, battery type, your budget and the hour rating are some of the things you must consider. 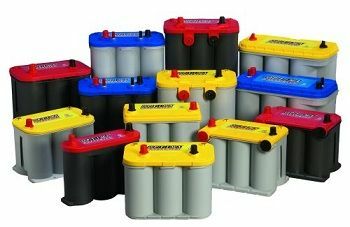 There are three types of batteries to choose from: the deep cycle batteries, the Lead Acid wet cell and the AGM. The deep-cycle type discharge a smaller amount of current for a longer period whereas the Lead Wet-Cell & AGM are drained fast and need regular recharging. The lead acid wet cells are common since they are quite affordable. They last for a period of between one and two years and are considered the best for people with a constrained budget. Also, if properly maintained, they can give you service for up to 3 years. However, these batteries require regular maintenance such as topping- off the water and good handling. The Absorbed Glass Mat (AGM batteries) are sealed and last longer than any of the above two types of batteries. They have a lifespan of between 3- 4 years and cost more than the standard deep cycle batteries. They are expensive and therefore not suitable for people with tight budgets. However, if you are looking for longevity and performance, they are the best options you should consider. Also, the AGM batteries are 100% maintenance free and have a higher amperage hour rating. If you are planning to use the battery on trolling motors, it is recommended that you buy one with a high amperage hour rating. Note that it is important that you charge the battery as soon as possible and you should avoid leaving the battery in a discharged state for a longer period. If you choose to use batteries that require maintenance, it is advisable that you check out the battery fluid levels and ensure that you top- off whenever the water levels fall below certain levels. Typically, these levels are predetermined and marked to make it easier for you to tell when the topping should be done. Also, it is important to keep an eye on the terminal connectors for signs of corrosion. Cleaning them regularly is recommended. You may use a paste of baking soda and water to clean the batteries. If the battery is not in use, ensure that it is fully charged and stored in a cool, dry place. We have looked at some of the best trolling motor battery; however, it may be difficult to choose one that will give you the required service. However, carrying out online research will make your work easier. Checking the price, the reputation of the battery brand and the reviews posted by the customers may help you. As you read through the reviews, ensure that you check on the following basic features. They are the deep cell marine batteries that are affordable and durable. The batteries can be drained and recharged severally. However, these batteries need to be maintained and should be topped with water regularly. They don't last for long and must be replaced after one or two years. Absorbed Glass Mat is made of a glass plate and some substance that looks like gel. You do not need to add distilled water to these batteries because they are enclosed. The batteries last longer than the wet-cell and can serve you for 3 to years. They have superior features and are just as expensive as wet-cell batteries. These batteries are commonly used in smart phones, but we have larger types that can be used to power trolling motor. They are durable, and so they are considered the cream of the crop. To get the best service from them, they should be maintained at a temperature of under 105 degrees and can last for over one decade. Unfortunately, these batteries are costly. It refers to the amount of ampere the battery draws in an hour. It tells how long the battery will last serving you after it has been charged for instance at a slow speed, a 35Ah battery will serve you for 7 hours while a 100Ah battery may serve you for 20 hours. However, it is true that you will not always go at a slow speed at all the time. Also, you may have other gadgets that draw power, and thus, you should consider setting a series of 12 V batteries to give your trolling motor more power. However, the general rule is that the higher the Ah rating, the longer the battery takes serving you on a single charge. Wet batteries will last for a couple of years while AGM will last twice as long as wet-cell batteries. However, the lithium batteries will last for decades. Notice that even where you buy batteries of the same type, one of them may last longer than the others. Check out the customer's review to help you get an idea about how long a particular battery will serve you. Also, remember to check out the warranty as well since longer warranties indicate that the battery has a longer lifespan. It is possible that fishing boats may travel over choppy waters this may cause jarring vibrations which could trouble your battery. There are plenty of batteries designed to withstand the vibration while others do not. Consider buying batteries that are spill-proof and those that are shock-resistant. Larger batteries are good since they guarantee your boat more power. Unfortunately, they may weigh down smaller boats. As a result, you need a small battery for a small boat. This means that you need to limit the weight to not more than 40 pounds. Some batteries will have group size and dimensions explicitly stated. Before you install any battery on the boat, it is necessary that you check your reviews to establish how easy it is to use particular batteries. Check whether it can be mounted at any position. Also, check out how soon you need to carry out maintenance or whether the battery is maintenance-free. Some batteries are designed to be used to start the motor while there are those that are designed to be used to onboard power gadgets. A versatile battery is one that can be put to other use other than the boat. Some of the batteries that are used in trolling motors can also be used for RVs. Jet skis, scooters, wheel chairs and alarms. Most people think that trolling motor batteries are the same and serve the same purpose. However, this is not the case. Some batteries guarantee you a safe journey to the waters and back while there are those that will make you get stuck in the middle of the lake. Therefore choosing your battery wisely could be helpful. Choosing the right battery will not only motivate you to hit the water but will allow you to enjoy using gadgets that use power while in the waters. Buying a motor battery requires some good planning. It also requires some effort so that you buy a trolley battery that can offer you the service you may be looking for. This guide has presented to you the markets top motor batteries that come in different size and weight. 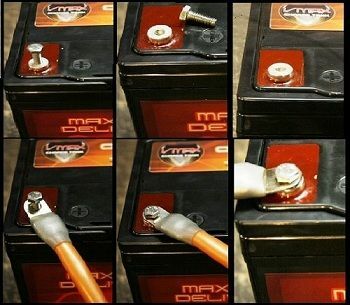 The guide is meant to help you buy a battery that fits your boats individual needs. It sheds light on various types of batteries on the market and points out on some of the critical features you should consider before buying your battery. Best Trolling Motors For Kayaks Reviewed – 2017 Ultimate Guide!! 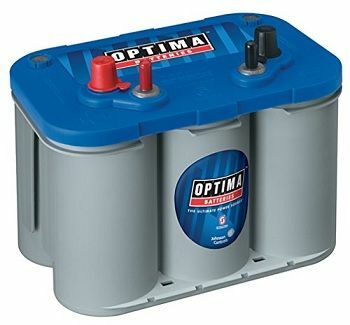 optima battery is the best trolling motor battery for boats.